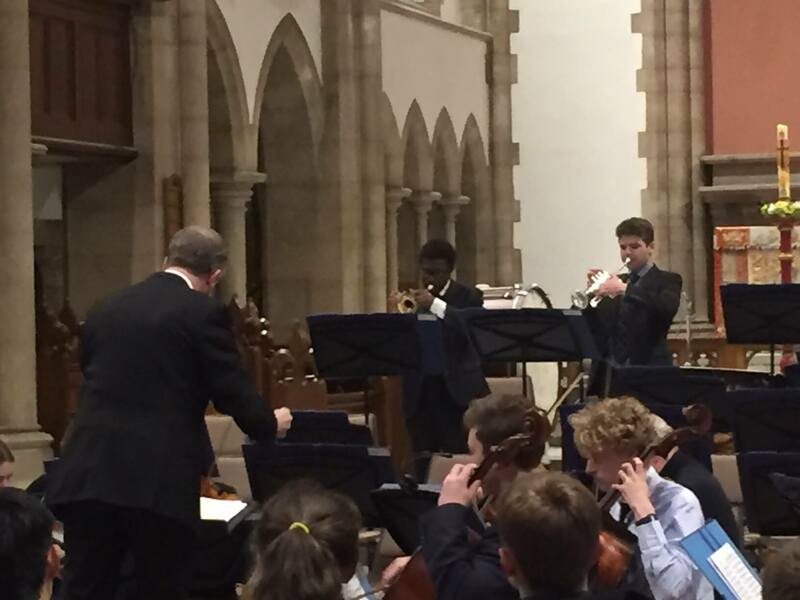 It was wonderful to be able to present a formal orchestral concert on Sunday evening at St Michael’s Church, Summertown – our own parish church as a school – and bringing a full programme of music to herald the start of Summer Term. We enjoyed the Symphony Orchestra’s opening three dances by Edward German, colourful miniatures which captured different emotions, each one telling a very different story. The stage was then re-set for a superb account of Vivaldi’s Double Trumpet Concerto. The soloists, Tom Powell and Caleb Akponasa led confidently, with a strong stylistic awareness of the baroque style and a real sense of the interplay between the two parts. The orchestra accompanied sensitively, giving momentum to each of the rhythmically driven motifs. The programme ended with a performance of Beethoven’s Symphony no 1 – that mixture of formal structure, elegant melodic development, and sometimes surprising corners of harmonic and tonal exploration. It was great to see an orchestra so young managing the classical style so well: some really good ensemble playing, ably directed by Gabs Damiani. We now look forward to the Orchestra’s work in Gaudy Week. There is no better place to be at 7:30am in the morning on Bank Holiday Monday than the roof of a boarding House. 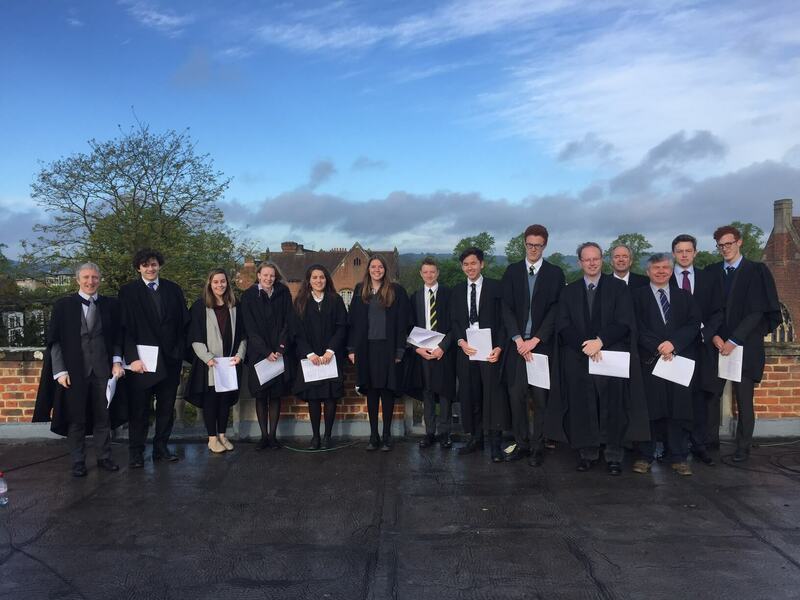 Twelve eager volunteers agreed to mark the beginning of summer, singing a programme of madrigals from the roof of Cowell’s on Monday 1st May. It’s the fourth time that we’ve attempted it (thereby surely making it a long-standing tradition by now) and the selected members of Chamber Choir did so very able once again. There was a mixture of styles and melodies – Now is the month of maying, Weep O mine eyes, My bonnie lass she smileth – and even a rendition of Greensleeves. The sleepy school looked up from below; they clapped and enjoyed summer buns; and we all celebrated with a hearty cooked breakfast before lesson one!